A global positioning system (GPS) is essential when out hunting. New GPS units are presented yearly to the market for all fearless hunters globally these days. Many best hunting GPS units are evaluated here capable of doing a great job for you. The GPS offers safety keeping you on the path to get back to your vehicle. Used in combination with trail cameras, you have everything to gain for a successful hunt. Be abreast of what’s out there and be well-versed in what is up-to-date reading the information and top Hunting GPS reviews below. GPS units are usually bundled with several features. If you do not have technical knowledge you might not know what all the features do and don’t care. It’s recommended that you select a GPS centered around being easy to use instead of the number of features offered. Young adults like all the features. A GPS abundant with features will offer more than tracking, navigation, and occasionally mapping. These units will have cameras, iTunes, MP3, downloads, video and music on demand, Google maps or other software for maps plus more abilities in the high-tech world. You need to know why you need a specific GPS and what you want to do with it. With a lot of great quality GPS units available today, it’s up to you to decide what you want that your budget allows. You can get a reasonable unit for about $100 and high-end models up to $800. It’s all up to you. Always read your manual before taking off to the wilds. You will want to familiarize yourself with how the unit’s features function. For example, how long will the battery last? How long to establish a satellite signal and how many routes can you store in its internal or external memory? Give it a practice around town at the games, traveling day trips, and to a place where you already know the location. Be sure you have extra batteries since most only last about 15 to 20 hours. Lithium batteries last longer and are lightweight. Load your maps onto the SD card that is removable. Mark your starting point no matter if you walk or take a truck or 4-wheeler. When it gets dark, you can become lost without marking your waypoint. In case the GPS fails, always have a paper map of your hunting region and a compass or compass watch. You might want the spare compass to check the coordinates on the GPS. Technology does make mistakes. If you’re checking to see what your trail cameras have captured in your absence, a GPS will be helpful navigating you about the woods. 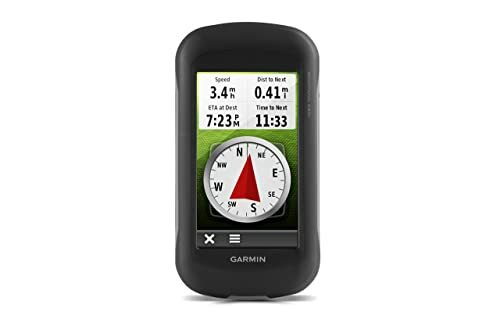 The Garmin™ handheld, high-sensitivity, wireless GPS with its GLONASS receiver with quad helix antenna is robust with a 2.6-inch color screen readable in sunlight. You will appreciate having its integral 3-axis tilt-compensated electronic compass to know your bearings. The internal memory is 4 GB. Use with 2 customary AA batteries (not included), or the optional rechargeable NiMH battery pack that can be charged while inside the GPS. With the barometric altimeter, you will have changes in pressure to know your altitude and to check weather changes and current conditions. You will always know where you’re going standing still. The wireless connection is synchronized using Bluetooth® or ANT+®. You can share your waypoints, tracks, routes, and geocaches, and organize maps without wires to other devices that are compatible with BaseCamp™. All you need to do is press the send button to another Garmin™ device. Additionally, BaseCamp™ displays topographic map data in 2-D or 3-D on your computer screen, including contour lines and elevation profiles; organize waypoints, routes, and tracks. It also can transfer an unlimited amount of satellite images to your device when paired with a BirdsEye™ Satellite Imagery subscription (included for 1-year). You can receive Smart Notifications with the dual battery system paired with the optional ANT+® sensors. GPSMAP 64s also connects to compatible Garmin™ devices, including VIRB® action camera and accessory sensors, including tempe™ heart rate monitor, tempe™ temperature sensor, speed/cadence, or use to control your VIRB® action camera (64s/64st only). With Smart Notification, you can wirelessly receive email, texts, and alerts from your compatible iPhone® 4s or later. Wirelessly upload data to Garmin Connect™ and view on your smartphone, plus share activities as they happen with Live Track (64s/64st only). The unit has an integral worldwide base map and shaded relief. A BirdsEye™ Satellite Imagery subscription is included for 1 year. This lets you navigate anywhere and you can with the photo navigation function download geotagged pictures from the Internet and navigate to them. You can add more maps with the microSD™ card slot and download TOPO 24K and 100K maps, plug in BlueChart® g2 preloaded cards, or City Navigator® NT map data for turn-by-turn routing on roads (see maps tab for compatibility on your device). The 64s is compatible with Garmin™ Custom Maps, a map format that lets you transform paper and electronic maps easily into downloadable maps for your device free. Paperless geocaching with 250,000 preloaded caches with hints and descriptions are available from Geocaching.com. The dimensions are 2.4-inches x 6.3-inches x 1.4-inches. The display size is 1.43-inches wide x 2.15-inches high, 2.6-inches diagonal and weighs about 8.1-ounces with batteries. You will receive a GPSMAP 64s GPS, Carabiner belt clip, USB cable, User’s Manual, 1-year BirdsEye™ Satellite Imagery subscription, and a 1-year Limited Warranty. It is designed in the USA and made in Taiwan. GPSMAP 64s GPS video here. 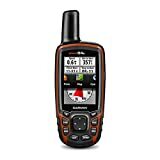 The Garmin™ Montana 680t® is a bit more expensive but comes with many features you cannot live without when hunting, traveling in the car, hiking, and countless other adventures along life’s highway. The device is sturdy and the capabilities are outstanding. It is equipped with GPS GLONASS satellite tracking and 8-megapixel autofocus camera, and automatically geotags photos. Having preloaded 100,000 U.S.A. topographic maps, there’s many things you can do with this well-made unit. You can touch the screen with gloves on and it has 4-inch dual orientation. It incorporates a 1-year free BirdsEye™ Satellite Imagery subscription. You will know where you are with the 3-axis compass and know weather and altitude with the integral barometric altimeter. With its high-sensitivity GPS and GLONASS reception, the WAAS-enabled receiver and HotFix® satellite prediction, Montana 680t finds your position quickly and precisely and maintains it. If you are in the woods or near tall buildings and trees, you can confidently rely on the Montana 680t. You can add more maps with TOPO U.S. 24K maps here. Click here for nautical navigating and water trips with the BlueChart® g2. With the city navigator, you will appreciate the turn-by-turn driving directions when in an unfamiliar city. You can also convert paper maps into downloadable files with this device. You can wirelessly share your tracks, routes, waypoints and geocaches with your friends and family using Garmin™ devices. All you need to do is hit the send button for transmission of your data. Plan your next hunting trip or outdoor journey using the free BaseCamp™ software for seeing and organizing maps, routes, tracks, and waypoints. Create Garmin™ Adventures and share with your family and friends and other trailblazers. The topographic maps are in 2-D or 3-D on your computer screen showing contours and elevations with the free BaseCamp™ software. The dimensions are 2.9-inches x 5.7-inches x 1.4-inches and the display size is 2-inches wide x 3.5-inches high x 4-inches diagonally. You will receive a Montana® 680t GPS, USB cable, lithium-ion battery pack, A/C charger, User’s Manual, 1-year BirdsEye™ Satellite Imagery subscription, and 1-year Limited Warranty. It is designed in the USA and made in Taiwan. Garmin Montana® 680t GPS video here. The Garmin™ eTrex® 20x is a very trendy and best Hunting GPS designed and manufactured by this company. With its worldwide base map, easy-to-see in the sun display, and a variety of other features, you will not be disappointed. The eTrex® 20x is upgraded from the eTrex® 20 having improved screen resolution to read the display more easily. The internal memory has been increased allowing you to keep more maps. It can be used on bikes, boats, in cars, and on ATVs. It continues to keep its reputation for durability and is not expensive. In your vehicle, use the mount and City Navigator NT® maps for turn-by-turn driving directions. There is also a robust mount you can use for your ATV or motorcycle. Versatility is key—this unit has tons of add-ons such as the 8 MP camera, and mounting options. You can take a photo of a waypoint rather than spending your time keying in descriptions. And, you can share. The touchscreen has large push buttons and you can touch with thick gloves as well. The high-sensitivity, WAAS-enabled GPS receiver with HotFix® and GLONASS support satellites for faster positioning. Line up your next quest with BaseCamp™ software that lets you view and organize maps, waypoints, routes, and tracks. You can view it on your computer in 2-D or 3-D. The dimensions are 2.1-inches x 4.0-inches x 1.3-inches. The display size is 1.4-inches wide x 1.7-inches high and 2.2-inches diagonally and weighs 5-ounces with batteries. You will receive a Garmin™ eTrax® 20x, USB cable, User’s Manual, and 1-year Limited Warranty. It is designed in the USA and made in Taiwan. Garmin™ eTrax® 20x video here. The Bushnell® HuntTrack™ model 360500 will have you on track hunting and whatever you do when you need a great hunting GPS. The unit has value logging up to 48-hours of trip data to mark and return to you up to 25 locations. Another convenient feature to keep away from the math calculator is that you can see the time in civilian regular time or military and you can see the temperature in Celsius and Fahrenheit without using the 9/5 ± 32 math formula—if I remembered that correctly. Distances will be shown in yards/miles or meters/kilometers—what’s best and easily quick and understandable for you. You can also view latitude and longitude coordinates for more detailed information. Is also shows altitude with the digital compass. The barometric pressure, as you know, influences the behavior of animals (and humans too) and this single algorithm will show the best activity times for hunting your game. If you have a need to know the sunrise, sunset, moonrise, and moonset, this device will show you that data as well. It does not let you input coordinates; it will track the coordinates of the places you started from and go back to however. The rugged unit has excellent optics for HD clarity. The best materials are used for this GPS and the design is functional. It is weather resistant to inclement conditions. Find your way back to wherever you need to be—finding an animal that’s down, your tree stand, camping area, or vehicle. The single directional arrow and distance of your travel will get you back. The breadcrumbs feature logs accurately where you have been in your travels. The dimensions are 4-inches high x 3-inches wide x 7/8-inch deep weighing about 6-ounces with 3 AAA batteries. You will receive the Bushnell® HuntTrack™, User’s Manual, and 1-year Limited Warranty. Bushnell® BackTrack HuntTrack™ GPS video here. Today we don’t need to be lost in the woods, on roads, or in the back country. We no longer need paper maps because everything is high tech. When you are looking for a best hunting GPS units, you will want to check out the ones evaluated here. The warranties are good and most manufacturers will back up any defects at no cost to you. It’s a good idea to read Hunting GPS reviews to see what others think of the brands. You can always ask them a question as well. Be safe, confident, and secure with your GPS. Great post Randy. 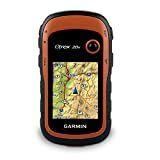 I have personally owned several gps devices from Garmin, and all have been very durable and essential. I have owned my Garmin Etrax for well over 3 years now and still going strong.